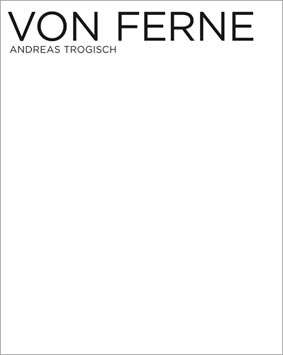 Publisher's Description Andreas Trogisch is a highly gifted graphic designer. However he has never made an appearance as a photographer so far. It is unbelievable that his excellent photographs, which have been generated in the past 30 years, have snoozed in secrecy. Now finally parts of his comprehensive work will be published in a series of six consecutive photo folders. All issues are published in an edition of 100 numbered and signed copies by the publisher “Peperoni Books”. The first folder is called “Von Ferne” (“From afar”) and presents 30 BW-photographs, photographed in the GDR and Eastern Europe between 1982 and 1989. The pictures reflect the pure joy of photography. Lines, forms and light create complex visual experiences in a very own metonymy – and at the same time preserve space for surprising discoveries, which often are revealed at second glance. Andreas Trogisch is a discoverer himself. He shows us everyday motives like we have never seen them before. Near and far, vague and concrete, contradictory and balanced – one can view the images for a long time without getting through them completely. They do not surrender their secret that easily. Simultaneously to “Von Ferne” (“From afar”) the second folder under the name “Magico” is published.